To hear the wind rustling the leaves, the birds as they sing. My spirit calm and peaceful, my heart filled with love. A few weeks ago I lost my heart to Booja Booja. 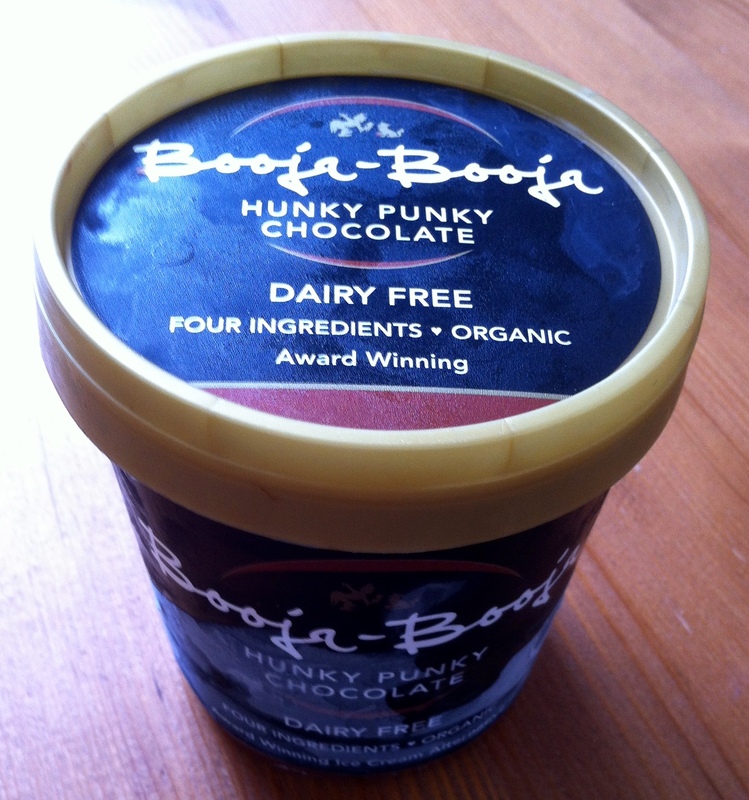 A dear friend introduced me to their Hunky Punky Chocolate Ice Cream Alternative. My taste buds jumped for joy as I tucked into this heavenly bowl containing only four ingredients: water, agave syrup, cashews and cacao. I’m not kidding when I say it tastes like a high quality Belgian chocolate ice-cream. Creamy deliciousness in every spoonful. In fact, I would go as far to say this is one of the best ice-creams I have ever tasted: healthy or non-healthy. And I don’t usually go for chocolate ice-cream either! I couldn’t wait to visit my local health food store and was over-the-moon to see they stocked it. But alas it’s a tad too pricey for my present budget. So I had the great idea to try and make my own. After lots of trawling online, I finally found a recipe that was right up my street. Most recipes use bananas as the base, my least favourite food in the whole wide world (the only exception I make is for Banana Bread, toasted with butter please. A staple treat for me when I lived in Sydney). Thankfully I found an alternative that uses cashews and coconut milk. It’s so simple to make: pop some soaked cashews, coconut milk, vanilla essence and rice malt syrup (my choice of sweetener) into a blender and blend away. But then comes the tricky part. Pour into a shallow dish, cover well and freeze. Every 30 minutes, take out of the freezer and whisk with a small whisk or mix with a fork. For six hours. That’s twelve times. Twelve times! Then leave for a further eight hours and it’s ready to eat. And you know what, it tastes mind-glowingly delicious. I am so impressed with myself that I’ve actually made ice cream. By hand. Even my mum is impressed. We sampled it this afternoon – although it hadn’t had its full proper freezing time, I mean who can wait overnight, seriously! I added a scoop to my previously made Chocolate Cup Cakes (dairy, sugar and wheat-free too) and the ultimate afternoon snack was born. Although, it’s pretty labour intensive and pretty expensive to make, there is a huge satisfaction of knowing I’ve made this bowl of deliciousness all by myself. So with this in mind, my happy for today is being grateful for making raw vegan ice-cream. Today we have my two young nephews here. Ages three and six. All day long. While I absolutely love playing with the little munchkins, I’m usually wiped out after half an hour or so and have to go and rest. So I try to make every second I spend with them count. The eldest Callum is really into doing mazes at the moment. I’d printed a few off for him so we could sit together and have some quiet, creative time. Of course, little Thomas wanted to get in on the action and climbed onto my lap. And while Callum got stuck into helping the dragon find his egg, Thomas scribbled on a dot-to-dot. It was a precious half hour spent. I always try to make sure I am fully present when I am with them. That I am Mindful Auntie Helen instead of Distracted Auntie Helen. I listen to what they have to say and I devote my whole attention to them and what they want to do. I truly think one of the greatest gifts you can give someone is your full attention, adults and children alike. Especially when we live in a society that is very much attached to our smart phones and bombarded with distractions from every direction. I sense that the boys appreciate it too. So much so, that later in the day Callum excitedly burst into my room to tell me what they’d just got up to in the park, and Thomas declared me his best friend when his mummy came to collect him. My nephews are also my inspiring teachers. They live and play wholeheartedly in the present moment. Like when Thomas hears music, he leaps up to dance around with unabashed freedom. Or a minute after crying uncontrollably, he is playing happily, all previous upset forgotten. And like when Callum wants me to play with him, he means now, not “in a bit”. Or when he plays his computer games, he completely disappears into that moment. Unlike adults, children don’t dwell on the past or worry about the future, and this is one of the biggest lessons I am learning on my recovery journey. So with this in mind, my happy for today is being mindful while playing with my nephews.